The display usually has four digits and the ability to display a negative sign. A few multimeters have illuminated displays for better viewing in low light situations. 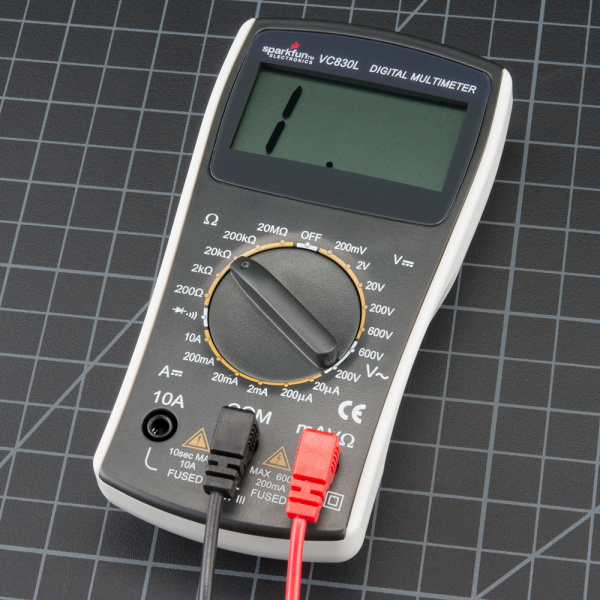 The selection knob allows the user to set the multimeter to read different things such as milliamps (mA) of current, voltage (V) and resistance (&ohm;). Two probes are plugged into two of the ports on the front of the unit. COM stands for common and is almost always connected to Ground or ‘-’ of a circuit. The COM probe is conventionally black but there is no difference between the red probe and black probe other than color. 10A is the special port used when measuring large currents (greater than 200mA). mAVΩ is the port that the red probe is conventionally plugged in to. This port allows the measurement of current (up to 200mA), voltage (V), and resistance (&ohm;). The probes have a banana type connector on the end that plugs into the multimeter. Any probe with a banana plug will work with this meter. This allows for different types of probes to be used. 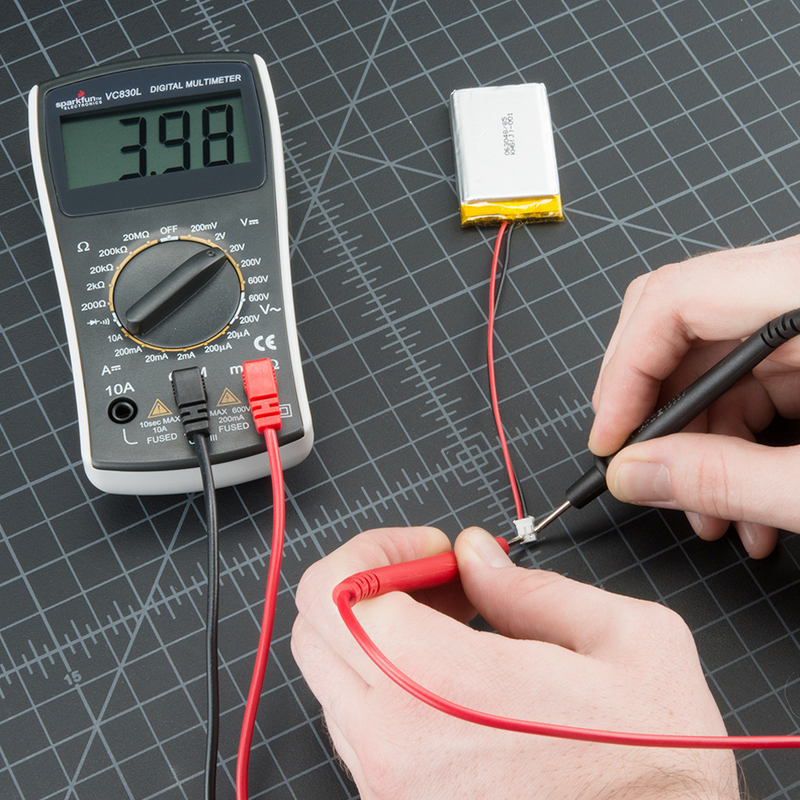 Using a Multimeter to test the voltage on a LiPo Battery.